“Champion Four Horse Hitch of Belgian horses and imported Bavarian beer wagon owned and used by The Leisy Brewing Company, Cleveland, Ohio, brewers of Leisy’s Light and Leisy’s Dortmunder type beers.” They would close for good by 1958, saying that they were taxed out of existence. While probably true, I think that their other problem was that their delivery methods were too slow. 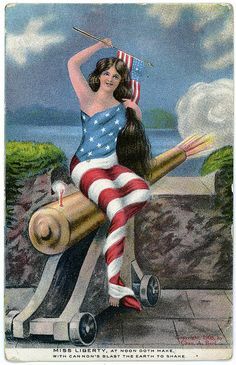 This card was sent to Great-Grandma Charlotte Smith from Willoughby, Ohio (tagline: “The Courtesy City”) which, after seeing pictures on their website of a brass band playing in a gazebo, creeps me out. It looks like that episode from The Twilight Zone. 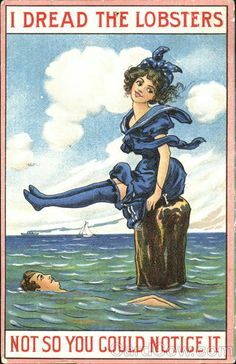 This card was sent by her sister Leola, who writes: “Well, Wendell (and) I are in Ohio at Ruth’s and about froze. Sure is chilly out here close to the lake. How is your arm is it cool at your place. Tell Pete not to look to (sic) long at the picture” — Pete being her name for Great-Grandpa Phil. What really gets me is that the card was sent with no street address, just the city, and it got there. Well I guess you can tell by my last name, that i am somewhat familiar with the Leisy Brewing Co. I’m not too familiar with it, though i am of aware of its past existence. I saw this and just thought it was pretty interesting and felt the need to comment.